I read because I like to explore the darker side of humans - serial killers and such. I wouldn't want to inhabit their worlds. There are also more than a few dystopian novels on my reading list. No, thank you; I'll pass on those worlds too. I love to read these stories and think about the the societal what ifs but I never really think about what if I was there. 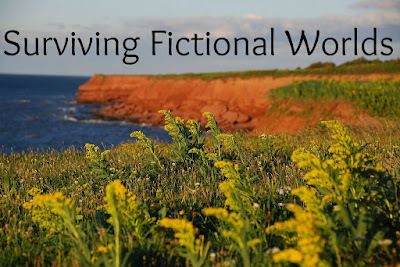 The worlds I want are a little more real to life, though not always in present day. 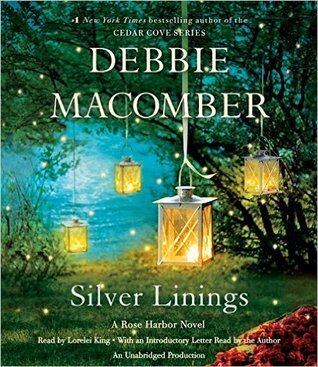 I've really enjoyed reading Debbie Macomber's Rose Harbor series. I think her B&B would make a great place to vacation. And thinking of vacation spots... I want go to Nantucket after reading several books set there. I think Nancy Thayer's The Guest Cottage really sealed me on wanting to visit Nantucket. Her descriptions of the meals and evenings in the yard, not to mention the fun in the sun and, well, the unexpected house guest just made me fall in love and image myself right there with the great characters of the story. 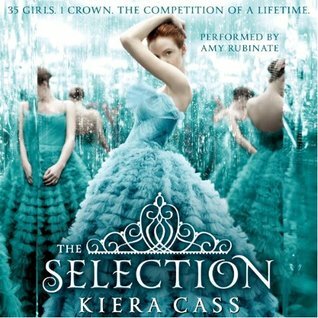 And then there is world of The Selection series by Kiera Cass. I mean, what girl doesn't want to be a princess? I only started reading the books (I listen to the audio books) because I absolutely loved the dresses on the covers. I'm not much of a fashionista but I do like pretty dresses, though I don't have reasons to buy them. So if you couldn't tell, my idea of "surviving a fictional world" is one where some R&R can happen and they only thing I might remotely battle is boredom. 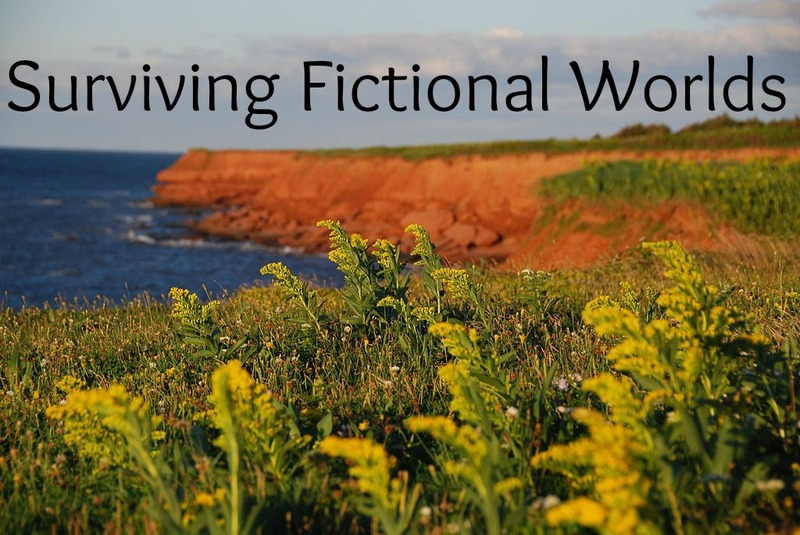 Alright, enough about inhabiting fictional worlds. Let's talk about the giveaway. 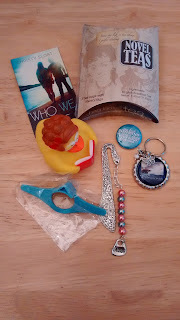 I have a few goodies in the cabinet so I'm putting together a swag pack. You can see a few things that will be in the pack, though I may find more stuff that I've forgotten about. Since we are all trying to get around to the other giveaways, I'm keeping entry simple. Just leave a comment with a way to contact you. You have until 12 noon on Monday to enter. Those sound like nice places to want to live in. I said a fictional town of Mill River, but I think I would like to live in Sullivan's Island too. The site of Dorothea Benton Frank's novels. This is the second time I saw Illea, I didn't even think of it but it is a series that I loved reading. The cover of Silver Linings looks like a nice place to visit. Awww that reading rubber ducky is adorable!! My answer as always: I'd love to live in Robin Hobb's Elderling realm. I would love to go to a ball! Nantucket is lovely - that's a good place - the Vineyard is nice too. I love the ducky! I've not seen one like that before. That does sound very lovely. I would like to be there too. hmm my wordpress login isn't seeming to work right so Google it is. Love tea and those are so cute naming them NovelTeas. I also love the bookmark with the pretty beads.